Sheppard was born out of a school assignment! Amy Sheppard told the ladies that she had left an assignment to the last minute and asked her brother for help harmonizing. She was impressed by his singing ability and the two began writing and recording music together. Amy says, "And then it just grew and grew and grew and now we're here in the United States!" 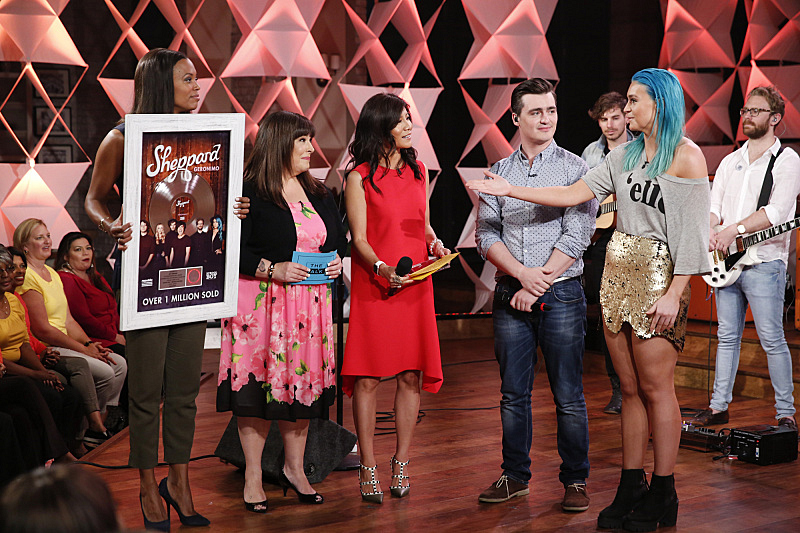 The Australian indie pop band is comprised of the 3 Sheppard siblings Amy, George and Emma and bandmates Michael Butler, Jason Bovino and Dean Gordon.